When i first went to Virtual Art Space, i had to download a player before i could enter site, although the download did work straight away with no problems. I found the navigation toggle at times difficult to operate with a mouse as if feels to be designed more for a joystick, when using mouse it tends to zoom into walls and away from pictures, also it is difficult to get into video rooms, as it tends to bring you into next exhibitor instead, for looking at exhibitions it is probably better to use the guided tour option or the left and right buttons on screen to get to next picture. When using the zoom function pictures become pixelated, while in contrast in the video rooms , videos are clear and even cast shadow on floor, and sound is clear with added echo giving effect of being in a real gallery emmersive space, the only problem with videos is that they don’t load straight away and some come with a pop up about the load time being up to five minutes. The site also includes sections for artist C.V. s and biography along with contact details. The home page also provided an A-Z artist index , while this only shows 12 artist thumbnails per page and links there is also a search box for individual artists. 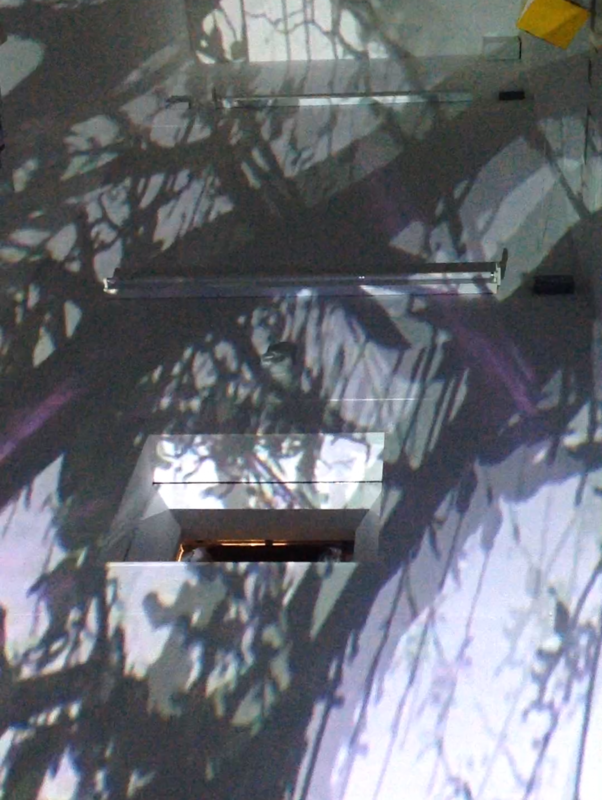 While the Virtual Art Space only facilitates 2D, photographic and sculptural work, the real test for a 3D gallery would be to provide a platform for rendering installations consisting of 3D elements and multiple projections, whereby the viewer can view installation from different angles as well as from within as in the real world. Setting up a gallery on site was fairly straightforward as pictures can be uploaded straight away without resizing, the gallery space comes in three different layouts for free version for 14, 16 or 20 works along with the option to upload video and sculpture within the same gallery space, the size of each video is capped at 20mb which restricts the size and length of video which requires checking file size and compression of files before uploading. The site also only accepts OGG files, while they do provide a converter there is no guide or information about different files, When i went to convert short video files , none of them would convert and there was only a very poor F.A.Q. section, Overall site is limited as it does not cater for other mediums while userability is good and ease of access for uploading and displaying 2D works this is let down by the problems with the video section. Author adminPosted on November 7, 2016 Categories UncategorizedLeave a comment on Digital Artefact V.A.S. Fine artist working in interdisciplinary fields, printmaking, painting, film, installation. Exhibited extensively in Ireland, U.K., Europe, U.S., Asia and held in private collections and various public collections. How people focused on old technologies for producing energy energy for profit, regardless of impact on environment. Agricultural land given over to housing, few people have land or farming skills, Hawaii only has a limited food supply, from local produce, which would last a few days if cut off from mainland. Last 100 years humans have changed the way in which Earth’s atmosphere operates due to advancing technologies. People in Hawaii have learned to recognise energy collapse and have developed strategies to cope with being cut off from mainland, such as growing own food, forming collaborative groups which would pool resources during emergencies and doing so becoming self sufficient again. This impact not only affects the present but thousands of years into future.